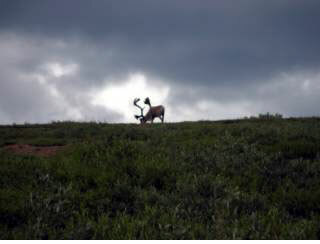 Caribou in Denali National Park. Those antlers -- a bit much. there's such a thing as over-accessorizing. This page contains a single entry from the blog posted on July 17, 2005 6:01 PM. The previous post in this blog was Street Life by Andy Serwer. The next post in this blog is Denali Denial.